Kellogg’s Foods are Full of GMO Sugar Beets: Join the Boycott! In light of dangers surrounding GMOs, companies are steering clear of the controversial ingredients, or are at least labeling them. Some countries are even banning some GMOs. But they don’t all feel this way. In fact, some of the most popular cereals like Corn Flakes or Froot Loops contain a heaping dose of GMO sugar beets (among other things). 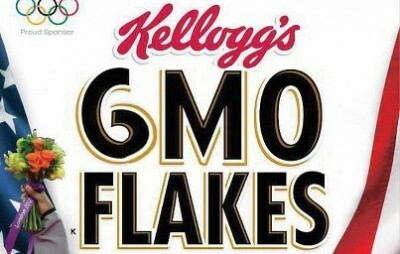 Cereal giant Kellogg’s is using Monsanto’s genetically engineered sugar beets to sweeten your morning meal, and at this rate about 90% of the food industry will follow suite, unless we as a collective stop buying products which are full of GMOs. Sugar beets have been grown in the US since 2008, but Kellogg’s makes the same cereals and ships them to Europe without genetically modified sugar beets, since several countries in the EU will not tolerate their cultivation. Kellogg’s own website states, “For more than 100 years, we’ve worked passionately to help families be their best.” Somehow ‘being your best’ while full of GMO sugar seems to be an oxymoron, and some people clearly don’t agree since there was a recent sabotage of two fields of GMO sugar beets growing in Oregon’s Jackson County just this past month. A total of 6000 plants were destroyed. Why would someone feel this strongly about some simple food-sweetening beets? To start, sugar beets are genetically altered to be RoundUp Ready – which means they are supposed to be resistant to Monsanto’s best-selling herbicide. The chemicals in RoundUp are questionable at best and pure malevolence at worst. Their main ingredient is glyphosate, which Monsanto calls the ‘perfect herbicide’, but it has been shown to cause greater incidence of breast cancer, as published in a study by the US National Library of Medicine. And of course the chemical has been linked to much, much more. Furthermore, glyphosate has been found in the urine of several European residents, who were random volunteers asked to participate in a study to see if people were being exposed to this chemical without their active participating in eating GMO foods. It may just be more invasive than we originally suspected. This study suggests that we are being exposed to this chemical in our food, water and soil, even if we don’t eat GMO foods. Consuming Kellogg’s products, however, is like adding an extra dose of poison to your endocrine system and purposefully damaging your immune system. You can join Corporate Action Network and sign this petition urging Kellogg’s to stop using GMO – as they already do in their European exports, or you can just change to good old organic oats and almond milk, a cup of free-trade, non GMO coffee, and a piece of organic fruit for breakfast instead. You’ll enjoy better health and drain the profits from companies who continue to persist in using GMOs against the public’s urging not to do so. As always the consumer has the option, don’t buy. Go Organic. How can Kelloggs be Kosher if there are gmo beet sugars in them? Its more important HOW MUCH you eat, than what you eat. We eat far too much for our survival. I now have a meal twice a week. I'm in England so hopefully our cornflakes aren't GM; however I am going to email this article to other people and show that Kellogg's clearly have two standards. If they can use non GM for Europe they can do it for America too. Incidentally, regarding the glyphosate…..my family recently did a thorough check of every weedkiller in our local gardening centre. They ALL contained glyphosate, with no exceptions. The stuff is everywhere. Many years ago it was discovered that Kellog's cornflakes had less nutrition in them than the cardboard boxes in which they were then contained. What did Kellogs do? It added synthetic vitamins to bolster the nutritional value of the flakes. Other processed products have added vitamins and minerals so how does one know that they are not consuming over doses of synthetic nutrition? I've avoided (boycotted) beet sugar, & Kellogs for ever. I too will add my name to the boycott of Kelloggs cerals. Good old cooked cereals, and GMO free fruits etc. are on my menu. Add me to that list. I don't want GMO food. If they really had our interests in mind they would boycott GMOs. I really don't buy any mainstream products as they are mostly unscrupulous. So many big companies own smaller companies that it is hard to tell these days. The closest I get is occasionally buying Tom's but mostly I use baking soda for my teeth. IT's more for when my daughter is here. They still have their ethics but are still owned by a big company. 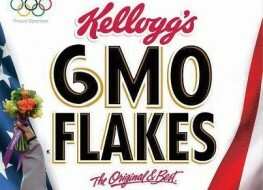 I ve been boycotting Kellogg for many years and this will go on. [ Smiles ] I proud to admit that I boycotted that brand years ago!